The greatest challenge facing the average American Chinese food-seeker? Navigating the phone book-sized, laminated menu. It’s enough to keep you ordering chow mein until the end of days. 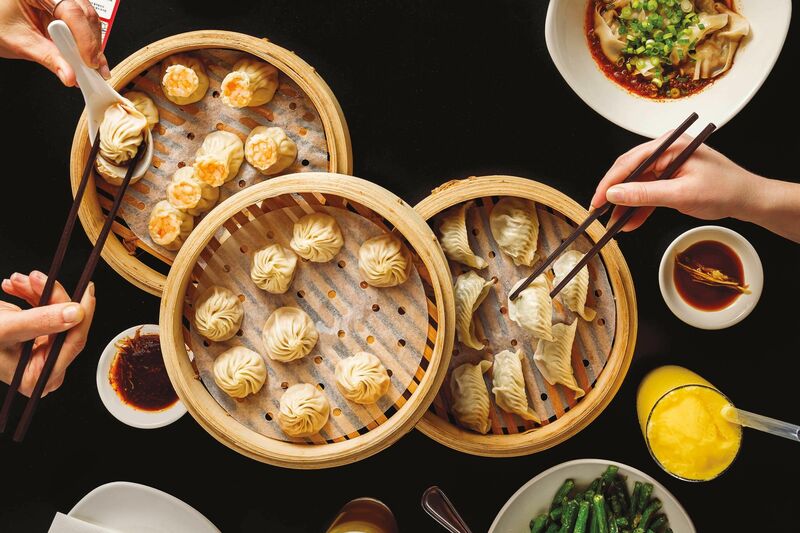 Even adventurous eaters are often only getting a small but tasty snapshot of Chinese cooking—either by specialty or region, hot pot or Sichuan. That’s one of the selling points at SE Stark’s just-opened Danwei Canting—it’s a best-of playlist from the diverse capital city of Beijing, from Chongqing egg noodles to Xianjiang lamb skewers. 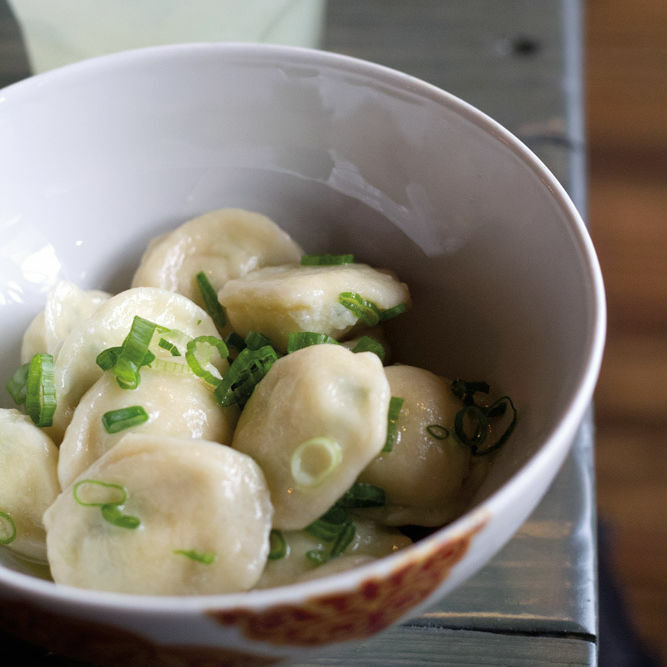 Former Bluehour chef Kyo Koo draws on owner James Kyle’s 17 years spent eating around the city, a famed melting pot of regional flavors, for a tight, still-evolving list of 20 or so dishes. It’s an uneven experience, so far, but already worth a globe-trotting trip. 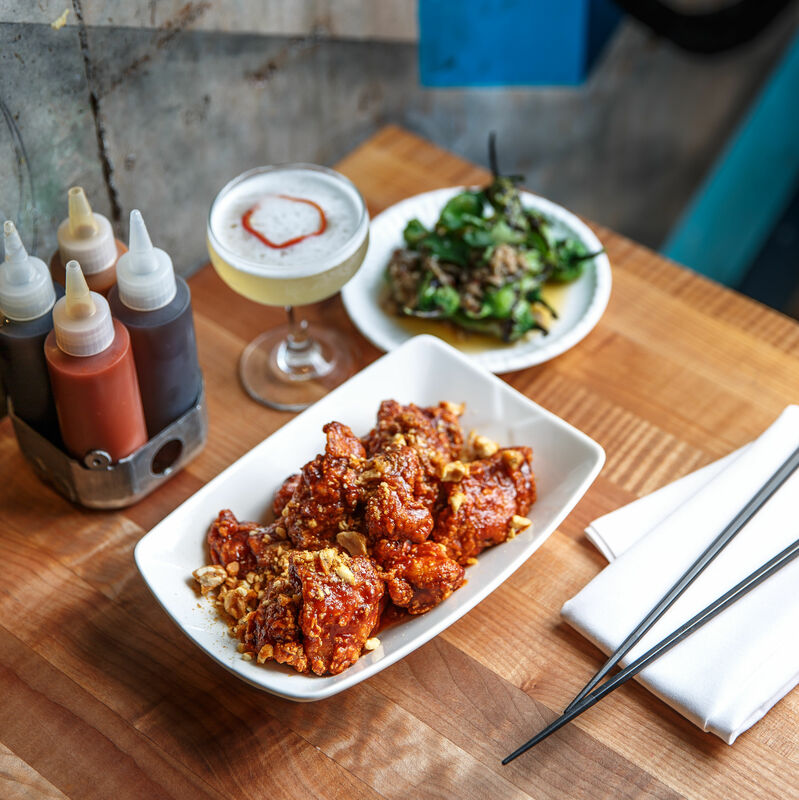 The La Zi Ji fried chicken is a must-try: a mountain of whole scarlet chiles, minefields of mouth-numbing Sichuan peppercorns, and crackle-crisp nuggets of chicken plastered with shreds of ginger, sesame, and green onion. Same goes for the fat, fried green beans curled around bits of spicy, caramelized pork. 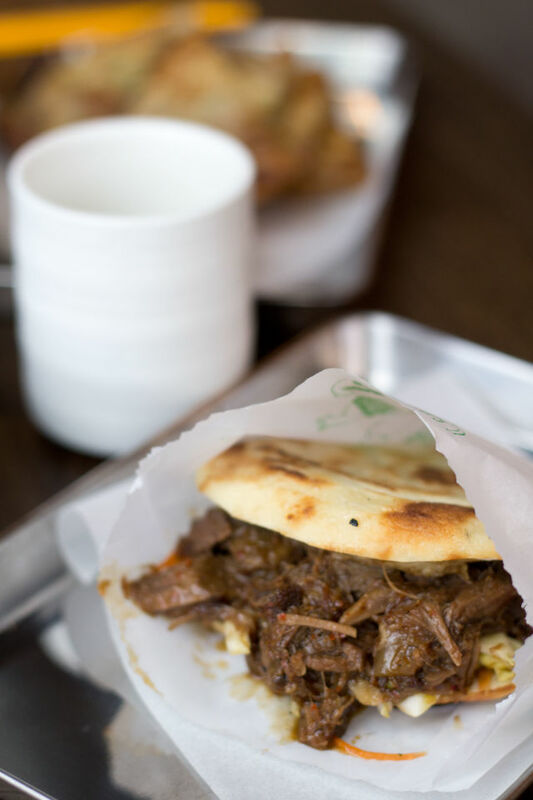 Chinese rou jia mo street burgers, like the cumin-braised lamb, offer handheld comfort—a messy pot roast packed into a flatbread pocket. The location. Danwei is across the street from the Slammer and Rum Club, along with a dozen great bars a few blocks away—this is prime drinking food! Take-out options. 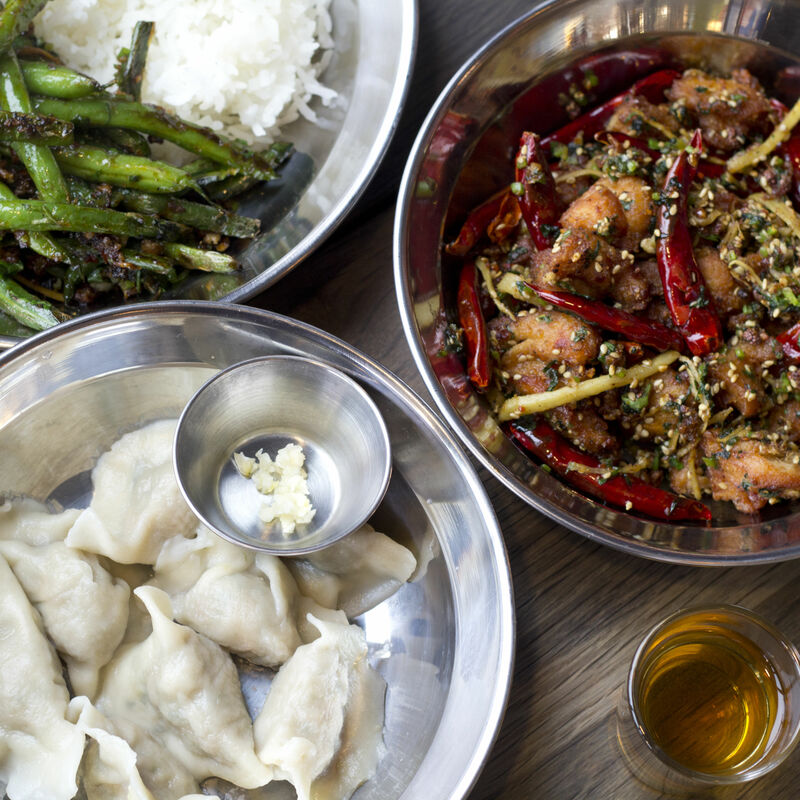 There are precious few great east side Chinese take-out spots west of 82nd. Danwei is quickly becoming one of them. Danwei serves Chinese rou jia mo street burgers, such as this cumin-braised lamb. A good chunk of the menu is still in progress. Little half-moon jiaozi dumplings, stuffed with pork and scallions, are missing their usual juicy pop, and the wrapper is a little thick. Noodles, both the Zhajiang Mian and Chongquin Liang Mian have a nice, toothsome, housemade chew, but suffer from over-seasoned sauces. 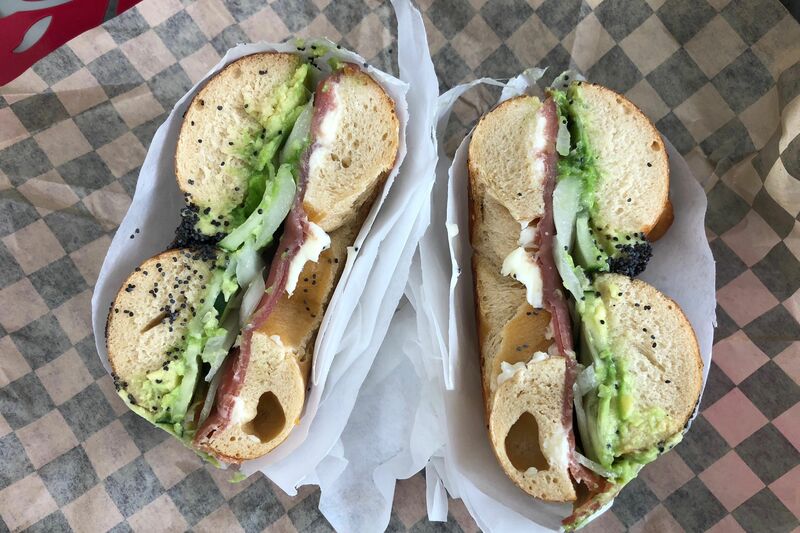 The list goes on, though few restaurants have their menu buttoned up on month one. Baijiu. 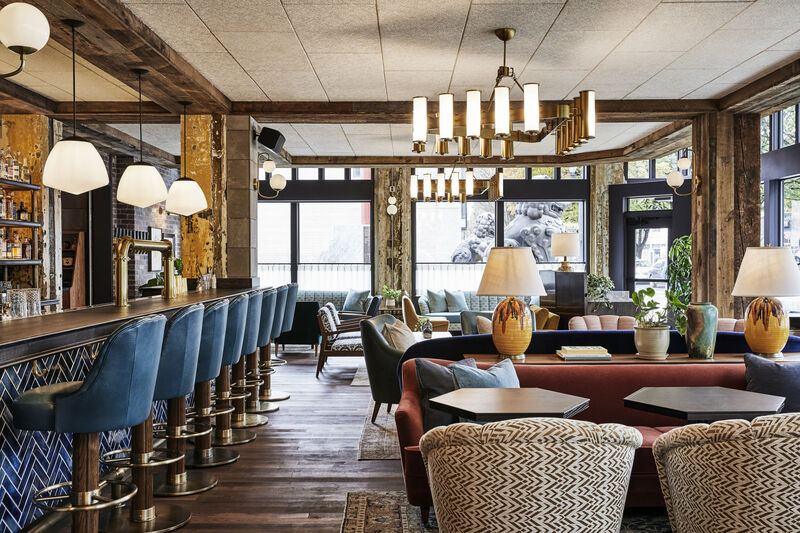 Danwei’s drink menu revolves around the ubiquitous Chinese liquor—a grain-based firewater that lives up to its name with a paint-stripping 40 to 60 percent alcohol content. It’s sourced mainly from local Vinn Distillery, served straight and infused as an “elixir,” and in two house cocktails. As much as we’re fans of the trendy house-infused liquor movement (see Kachka and Revelry), this particular Beijing import is an acquired taste: syrupy sweet, throat-raking, and smelling vaguely of gasoline. Better to go with lager-esque Yanjing, one of China’s favorite beers. The aesthetic. For all its earnest efforts to introduce Beijing’s multi-cultural cooking, the room is disappointingly Portland-industrial. 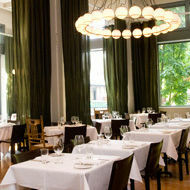 Edison bulbs, 49 metal chairs, and a counter-service iPad setup are the mode. It’s built for quick meals, not lingering around grand banquettes, Lazy Susan-style. Still, there is a very cool Paul Bunyan-meets-Great Wall mural at the entrance, courtesy Portland illustrator Murphy Phelan. We’ll be back to see how Danwei grows over the next few months. In the meantime, get started on that La Zi Ji. 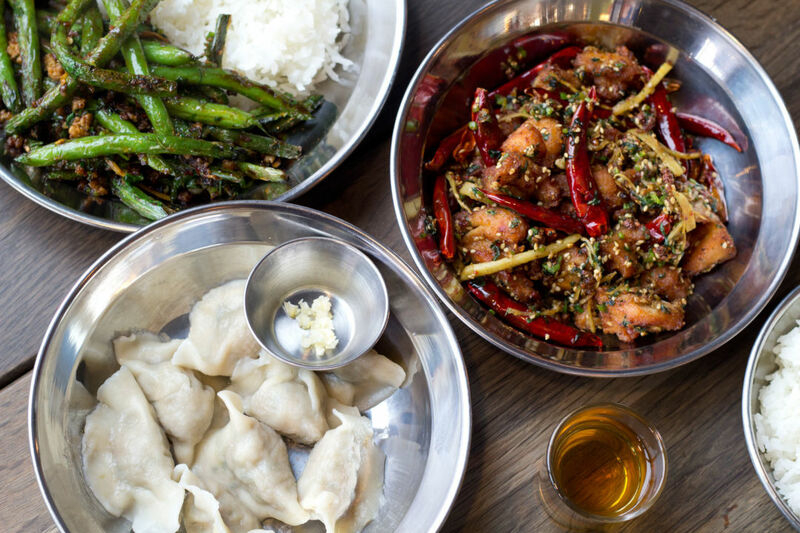 At Revelry, the house bumps with great music, street art murals, and Asian eats from kimchi pancakes to noodles—nominally Korean, but open to global beats. 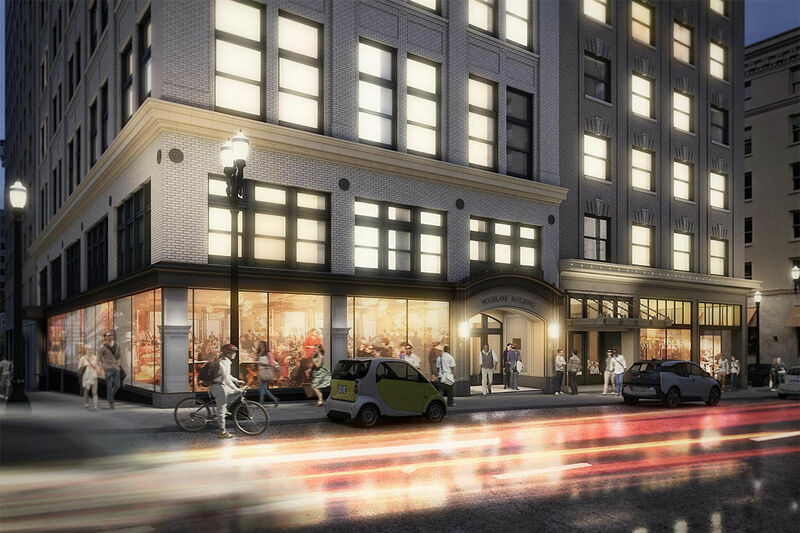 $ Chinese 803 SE Stark St.